A resident who was out for an early morning walk thought he could hear a cat mewing from beneath a steel drain cover and lifted the lid up to look inside. It was raining last night, this little baby was washed down from up on the roadway. Police are now investigating how she got there. 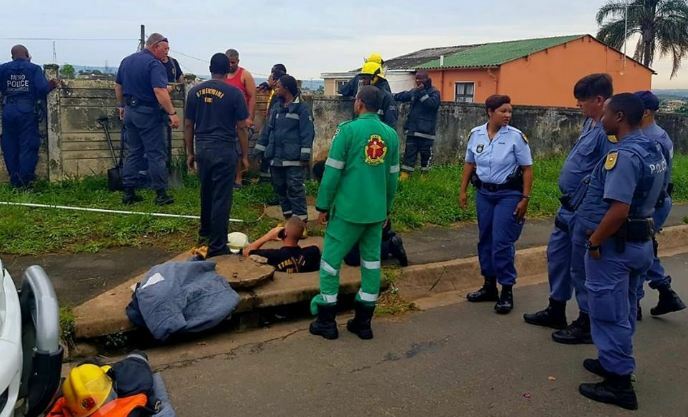 Authorities say they were called when residents heard a baby crying from deep within the concrete storm drain in Durban, on the eastern coast of South Africa. "A helicopter is inbound to transport the baby to a nearby hospital as soon as possible", said Jamieson. She's been airlifted to hospital and is in a stable condition. "The community was very helpful and supportive which we are also grateful for". "This matter will have to be investigated‚ to find the parents‚" he added.